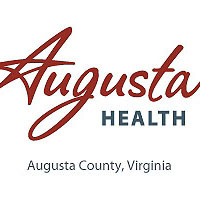 Events, classes and presentations at Augusta Health on the calendar for the month of January 2018. Topic: Cancer: What do you really need to know? Three hour class to help those with Type 2 Diabetes learn to manage the disease and take control of their lives. Requires Physician Referral. A one-session program taught by a Certified Diabetes Educator that is designed to help those who have been diagnosed as pre-diabetic learn about risk factors and lifestyle changes that may delay or prevent the development of Type 2 Diabetes. A support group for newly diagnosed cancer patients who have fears, questions or concerns. This group also addresses life after cancer treatments. For information, please call Leigh Anderson, 540.245.7105. For those who have experienced a stroke and their family members, partners and friends. This month’s meeting is a luncheon at an off-site location. Reservation required. For information or to make a reservation, call Shelley at 540.332.4047. To share ideas and improve the quality of life after ostomy surgery. For information, please call 540.245.7236. For patients diagnosed with breast cancer—an opportunity to share personal stories, celebrate victories, express emotions and be uplifted. For information, please call Leigh Anderson, 540.245.7105. For all those interested in learning more about managing diabetes—family, friends and partners welcome, too. For information, please call Jean at 540.213.2537.